Besides being Cat’s Tails Tackles lure maker and designer, I own and operate Cat’s ESOX Guide Service specialized in the hunt for trophy Musky and Northern Pike. I also do well on largemouth and smallmouth bass, walleye, panfish and Great Lakes lake trout and salmon. Thanks for stopping by! Enjoy my web site and please feel free to stop back often! 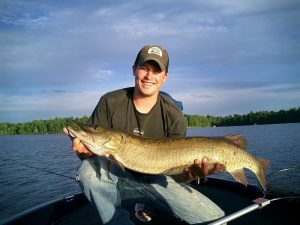 I enjoy casting and live bait fishing in the spring for walleyes, northern pike and panfish. 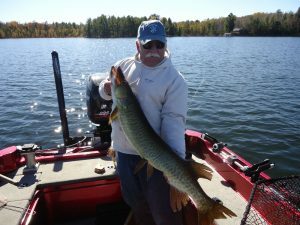 I regularly fish for smallmouth & largemouth bass, lake trout and salmon on Lake Superior, and of course Musky in the waters of the Hayward Lakes area of Northwest Wisconsin. 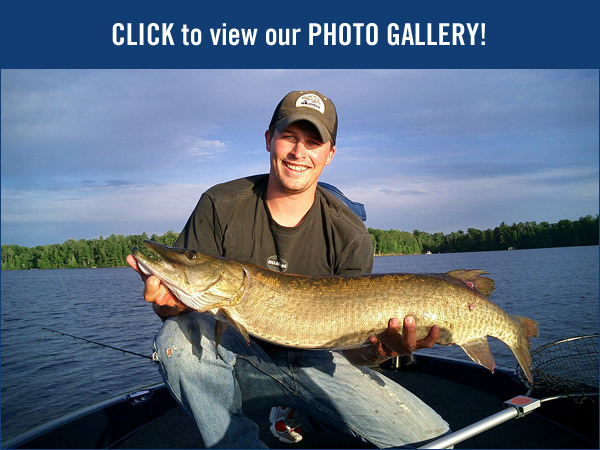 I am a fully licensed, insured, Wisconsin fishing guide with 40 years of experience. I furnish all rods, reels, and other fishing equipment as needed. Live bait is paid for by the client if desired. Or bring your favorite lures, rods and reels if you like, or you can share mine! We will fish out of my fiberglass 21’5” Triton 215X Deep Vee Walleye Boat, powered by a 225 HP Mercury Optimax Motor with a 15 HP Mercury four stroke kicker motor for trolling is allowed, and on Lake Superior for trout and salmon. This boat is equipped with the latest 74# Minn-Kota Autopilot trolling motor, 2 sonar fish locators including a new Hummingbird 917C with GPS and Hotmaps chip and plenty of room for three plus your guide. I also have a 14’ flat bottom aluminum jon boat with a 9.9 Evinrude & 40# trolling motor for shallower water areas or local rivers like the West Fork Chippewa or Namakagon or Flambeau River float trips and other smaller lakes in the Hayward Lakes area that are inaccessible with a large boat. Float trips may not be available during low waters conditions – call for details. 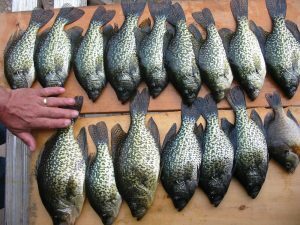 You are entitled to keep any legal sized bass, northern pike, walleye, lake trout or panfish (however a replica and picture will last longer). Please give advance notice to hold that special date…Please book your trip early! After a day on the water, I have made some new friends!